Absolver Review: Artful Fighting at its Finest | Nerd Much? The fighting games genre has had a banner year so far, with stellar entries in some longstanding franchises like TEKKEN and Injustice, a new Dragon Ball Z fighting game on the way, and some unique ideas like For Honor (which essentially has the DNA of a fighting game, despite some not classifying it as such). 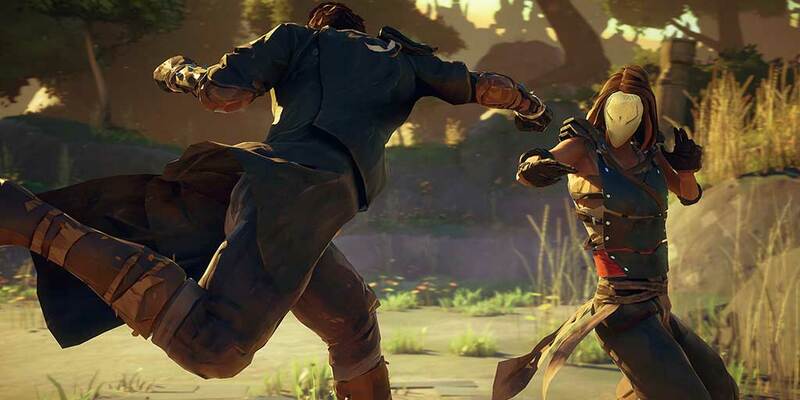 Regardless of its official classification, for all intents and purposes, Absolver is a fighting game (again, despite it being classified as something else, an Action RPG). No, you’re not going to see any hadoukens or scantily clad female fighters with impractical gear in Absolver. Instead, you’re going to find an interesting, mechanical fighting game that requires skill, patience, and striking with a purpose. 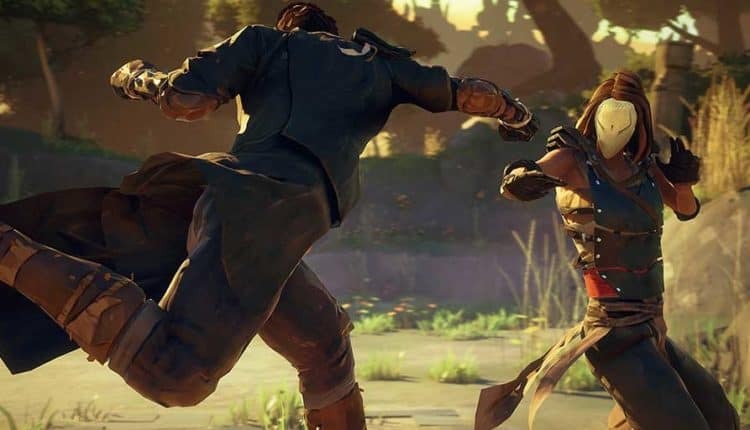 Now, some might argue that Absolver is an action RPG with a fighting game contained within, but its strongest asset is those online battles with other players. And, when those battles feel so integral to enjoy the game, the rest of the game feels mostly extraneous. We’ve had Absolver on our list of the most anticipated games of 2017, and we’re happy to report that, for the most part, it lives up to the hype. Absolver begins by giving you a blank fighter, with only the ability to customize his/her basic looks. In Absolver, everyone is masked, so you aren’t asked to spend time tweaking your character’s lip width or eye color. The character creation is basic, but it’s basic because the only real important choice is male or female and skin tone, here. However, it would have been better if there were a few more options like body type, height, muscle size, etc for us to really create something unique with. You’ll also get to pick your character’s basic style, which you’ll later tweak with new types of strikes. Different types of strikes are earned the more that you play, and you’ll earn them by playing against other players with those strikes, blocking those specific types of strikes, and outright leveling up. As you get these new strikes and your character levels up — yes, there are levels; this is an RPG, you guys — you’ll also open up new combo slots. So, your two-hit-combo can now become three, and you’ll get to keep adding to it with the new moves you unlock. As you progress through both the semi-open world (which is somewhat corridored) and online matches, you’ll earn gear and action points which will both increase your character’s stats. The action points are straight forward, but the gear screen is a bit confusing, and nothing is really explained very well. 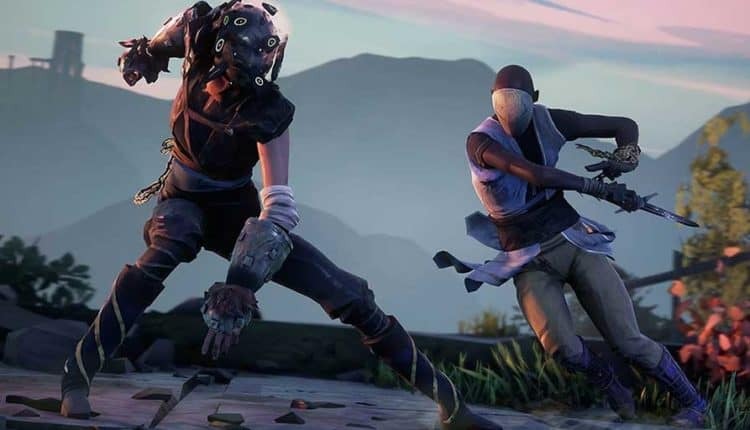 Learning new moves and mastering new combos are the two most essential elements in Absolver that will keep players coming back. Finally unlocking a new strike feels incredibly rewarding, and the fact that it will undoubtedly help you defeat more enemies makes you want to keep playing to unlock more. In the open world of Adal, you’ll be tasked with traveling from area to area and taking out A.I. fighters scattered around the land to level up and learn new skills. These battles are typically easy, and you likely won’t have any issues taking on two or three opponents at a time. These battles will help you learn skills quickly, so you’ll have to grin and bear their repetitive nature. These aren’t the only fights you’ll find in the open world, as you’ll also be tasked with defeating some mini-bosses (called Marked Ones). These battles are also quite easy, and you shouldn’t have any issues taking down these enemies for some sweet loot and XP. Once all of the Marked Ones are defeated, you’ll be able to take on a couple of tougher bosses (which will likely take you more than a few tries to master). But the real fun here is those online battles with other players. Each online battle is a first to three win contest. You’ll find a wide variety of skill levels online at the moment, with some players breezing through me for those three wins and others falling to my personal unique style of fighting (I’d call it drunken Krav Magaw). Combat always feels fresh, especially online, because you never know what your opponent is going to do; it’s much less predictable. Because of the unpredictable nature of those online battles, you can really come away with some truly satisfying victories, because wins can be taken from you with one skillfully crafted combo from your opponent. Of course, this also means you can win matches in the same fashion (with a last minute flurry), and it’s that sort of win that feels so much better than anything other fighting games can offer. Online battles can feel like a choreographed dance between you and your opponent, and mastering not only your own skill but quickly being able to decipher your opponent’s style for patterns are the keys to earning victories. As far as the game’s presentation is concerned, it’s a mixed bag. While you’ll find some incredible settings for your battles (my favorite being a tall wooden structure with the sunrise viewable at a far distance), you’ll also find too many samey-looking buildings and landscapes throughout the game’s environments. Art style is commendable, and it mostly fits right in with the game’s focus on the beauty of fighting. However, sound design is all over the place, with a general sense of emptiness as you travel from point A to point B and some god awful sound effects. But strange sound design and repetitive solo play is not enough to keep me from wanting to enter back into Adal for those incredibly rewarding online matches. 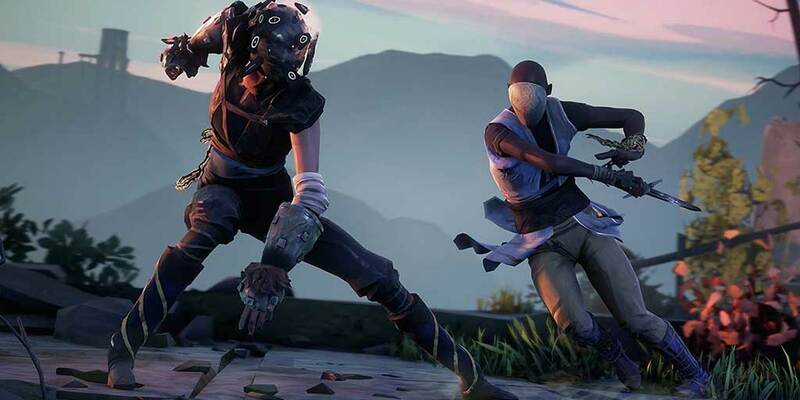 Absolver feels like a game of martial arts chess, where both your fighting skills and your mind are being tested at the same time. The winner walks away with a truly satisfying victory; the loser must return to Adal to hone their ability. 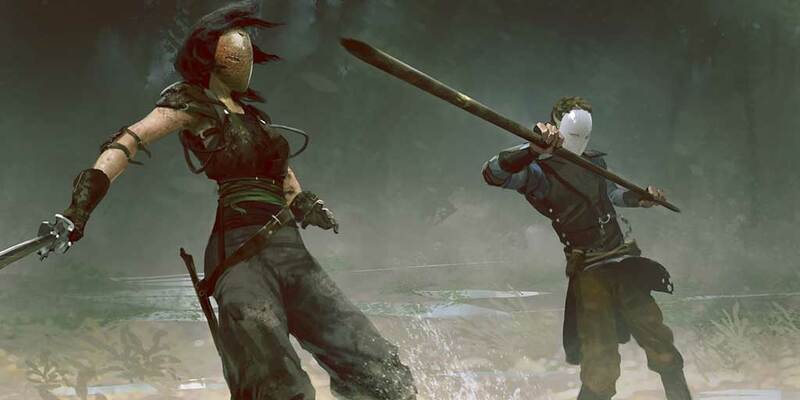 Absolver also celebrates the beauty of martial arts, and shines a light on one aspect of martial arts that those who practice it focus on: continual learning. It’s a fresh take on the fighting games genre (yes, I’m going to call it a fighting game), and we can’t wait to see more content in the future.